The reachability by car of Santander (15 min. ), the beach (10 min.) and even the mountains (about 45 min.). The friendliness of the cleaners and the flexibility of the reception: the lady made it possible to change the apartment, on our request, during the stay. Apartamento ubicado a las afueras de Boo de Pielagos, muy bien comunicado con la A-67 y la A-8, lo cual como centro de operaciones para conocer Santander, Santillana del Mar, Comillas... viene muy bien. Torrelavega también está cerca, donde hay muchos comercios si lo necesitamos. Los apartamentos dan derecho al uso de algunos servicios del apartahotel Playas de Liencres, ubicado cerca del Dunas de Liencres (2 min en coche), como el uso de la piscina climatizada, el bar o el restaurante. Ubicación muy buena , zona tranquila... cerca de todo. Un sitio precioso. Apartamentos Dunas de Liencres This rating is a reflection of how the property compares to the industry standard when it comes to price, facilities and services available. It's based on a self-evaluation by the property. Use this rating to help choose your stay! 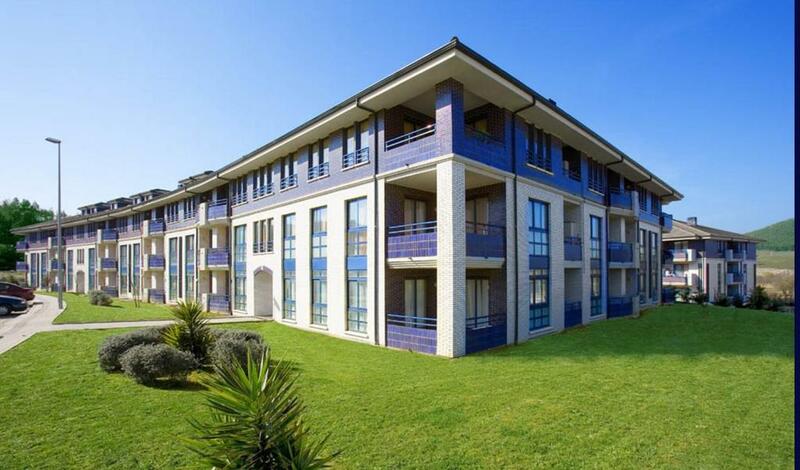 Located by the beautiful, protected Liencres Natura Park, these apartments are a relaxing and convenient haven for a restorative break. 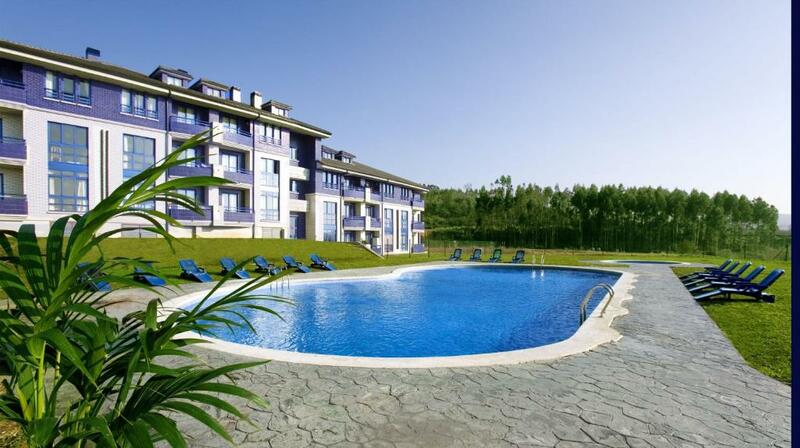 The apartments are set in beautiful, beautiful countryside in the Valle de Pielagos area. The region is characterized by its beaches, cliffs, crags and foothills. As well as their tranquil setting, the apartments offer all the convenience, freedom and independence of apartment living. The convenient location means the apartments also have excellent transport links. As well as the stunning coastline nearby, you will also be able to enjoy other areas of the region such as Santander, Bilbao and Santillana del Mar. Guests can make use of a nearby sister hotel's restaurant, children's club and entertainment program. When would you like to stay at Apartamentos Dunas de Liencres? This apartment features a kitchenette, seating area and microwave. This apartment features a microwave, kitchenette and seating area. This apartment has a kitchenette, microwave and seating area. This double room has a seating area, kitchen and microwave. This apartment features a sofa, tile/marble floor and seating area. This apartment features a view, tile/marble floor and microwave. Located opposite Liencres Nature Park, the apartment Dunas de Liencres offers an ideal location for relaxation and pleasure. House Rules Apartamentos Dunas de Liencres takes special requests – add in the next step! Apartamentos Dunas de Liencres accepts these cards and reserves the right to temporarily hold an amount prior to arrival. Please note that access to the Kids' Mini Club is free of charge for guests and available for children of 3 years of age and older. Please contact the property to check on availability. Aparthotel Playas de Liencres offers breakfast, full and half board meal plans for a surcharge. Apartamentos Dunas de Liencres guests have free access to the heated pool and the gym at Aparthotel Playas de Liencre, 1,650 feet from the apartments. Breakfast, lunch and dinner are served at Aparthotel Playas del Liecnres, 1,650 feet from the apartments. Breakfast, lunch and dinner is free for children aged from 0 to 4 years, and there is a 50% discount on adult prices for children from 5 to 12 years old. 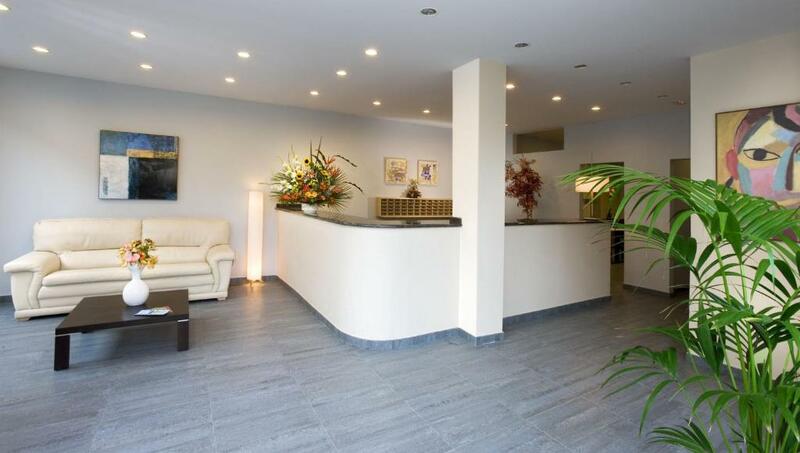 Please inform Apartamentos Dunas de Liencres of your expected arrival time in advance. You can use the Special Requests box when booking, or contact the property directly using the contact details in your confirmation. Pictures used to show property are far from true reflection of how its looks today. The pictures which were used were obviously how the place looked like when new but today property is rundown looking. the apartments are very close to a motorway!!! Too much to list. Moldy room. Cats every where. Weird hole in ceiling in bathroom. I didn’t take a shower, too gross. Smelly. So bad. Nothing at all! Gross. Disaster. The location of the apartment was some distance from the check-in (a 10 minute steep walk!). Few amenities on site. Derilict building at the entrance of our apartment. The view from our flat was of a dirty corner outside. The corridors looked old and dirty and smelled terrible of food and cigarettes. This should have been at least a very cheap price but that was not even the case. The place is not inspiring: the apartment is part of a kind of a 'holiday village' where also locals live, but the whole has no 'soul'. 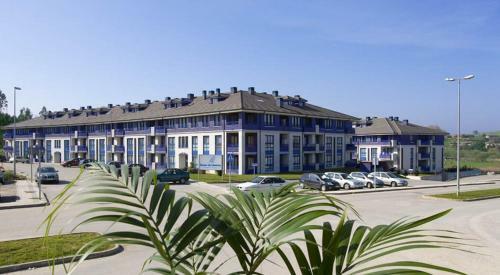 The apartment is difficult to find, in the middle of thousand apartments looking exactly the same. The place is poorly decorated, and the architecture inside awful, we found the stairs passing through the toilette, very strange. Very bad experience.